"The Opulence of Integrity is a four movement evening-length work inspired by the life and legacy of Muhhamad Ali. Inspired by Ali’s career as a boxer and life as a social activist, public martyr, and human being, choreographer Christal Brown deploys her eclectic movement vernacular to illustrate the turmoil of a life infused by divinity yet misinterpreted by humanity. Christal Brown (Choreographer, educator, performer, writer, activist): is a native of Kinston, North Carolina and received her BFA in dance and minor in Business from the University of NC at Greensboro . Upon graduation, Brown went on to tour nationally with Chuck Davis' African-American Dance Ensemble and internationally with Andrea E. Woods/Souloworks. 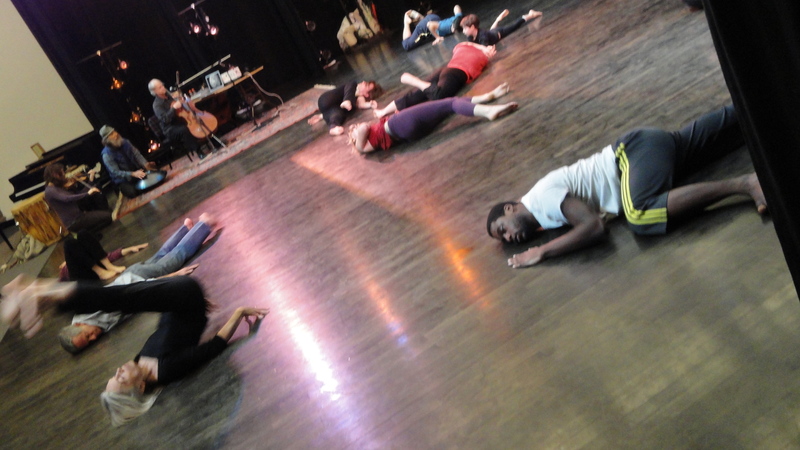 Immediately following those experiences Brown performed with and managed Gesel Mason Performance Projects while apprenticing with the Liz Lerman Dance Exchange in Takoma Park , MD. Upon relocating to New York Brown apprenticed with the Bill T Jones/Arnie Zane Dance Company before finding a home with Urban Bush Women; where she spent three seasons as a principal performer, community specialist and apprentice program coordinator. Aside from performing Brown is the Founding and Executive Director of INSPIRIT, a performance ensemble and educational conglomerate dedicated to bringing female choreographers together to collaborate and show new work, expanding the views of women of all ages, and being a constant source of inspiration to its audience as well as members. Founded in 2000, INSPIRIT has been honored to show work at Aaron Davis Hall, St. Marks Church, Joyce Soho, The Lincoln Theater of Washington, DC, and various other venues across the country. Through the growth of INSPIRIT, Brown has also been able to launch a nationwide youth initiative for teen girls called Project: BECOMING and develop a codified technique called "Liquid Strength." Brown has been a resident artist of Dance New Amsterdam, Movement Research, and Tribeca Performing Arts Center and is currently, Assistant Professor of Dance at Middlebury College . Combining her athleticism, creativity, and love for people, and knack for teaching Brown continues to teach and create works that redefine the art of dance and the structure of the field.